Request Library Password using Banner #. UNM-Valencia Technology Camps registration is open! 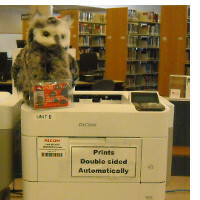 New Printers Here--Computer login/LoboID or PrintCard required--Ask for help! Library will borrow books/articles not owned (interlibrary loan). Library does not buy textbooks. 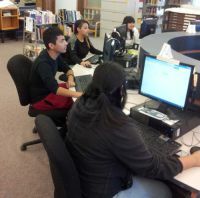 Library has laptops and flash drives available to check-out. Library has a Study Room available for 2 hour check-out. 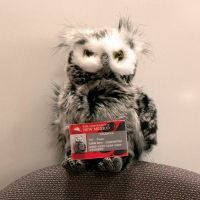 Library requires your LOBO ID to borrow materials. Do not use alcohol or tobacco. Do not disrupt others with noise (loud talking, cell phones, or audible electronic devices). Always accompany children under the age of 15. Have food and drink in appropriate areas and containers. Do not deface or damage library materials. Library Doors locked 15 minutes before closing (8:15/4:45 pm). Printers turned off 15 minutes before closing (8:15/4:45 pm). Library has 2 black/white printers; 1 color printer. Black/white printing is 7 cents per page. Color printing 35 cents per page. Valencia Campus Lobo ID required to print. Instructions for personal device printing (link).